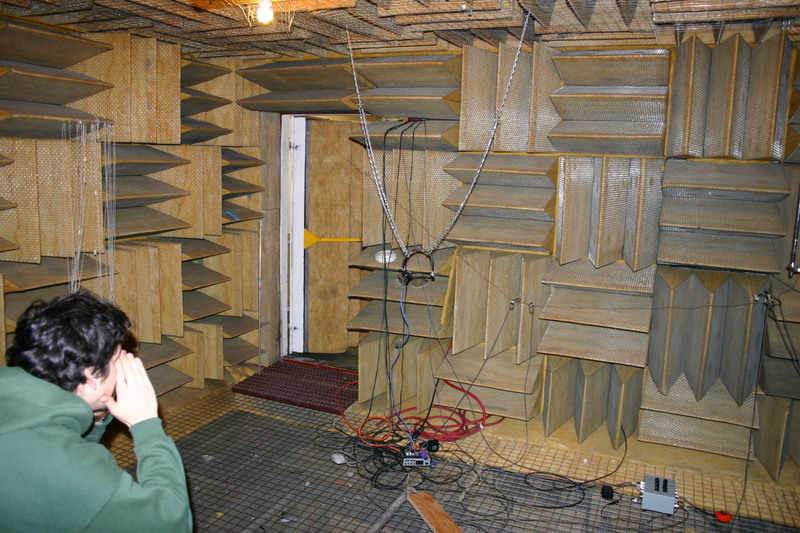 In 2003 I designed and fabricated a 3D sound localization device with my partners Josh Usher and Darius Tam. The array of 4 microphones picked up the sound delays between microphones and this data was then processed and analyzed to determine the location of the sound. An arrow on a computer screen points at the sound origin. The goal was to develop a device that would be of assistance to the deaf. The software was programmed in Java.